Nice pencil drawings by Michelle D. Ferrera, based in California. Originally, Ferrera worked in journals but a few years ago, looking for a larger canvas, she picked up a piece of scrap wood from the garage and the rest is history. 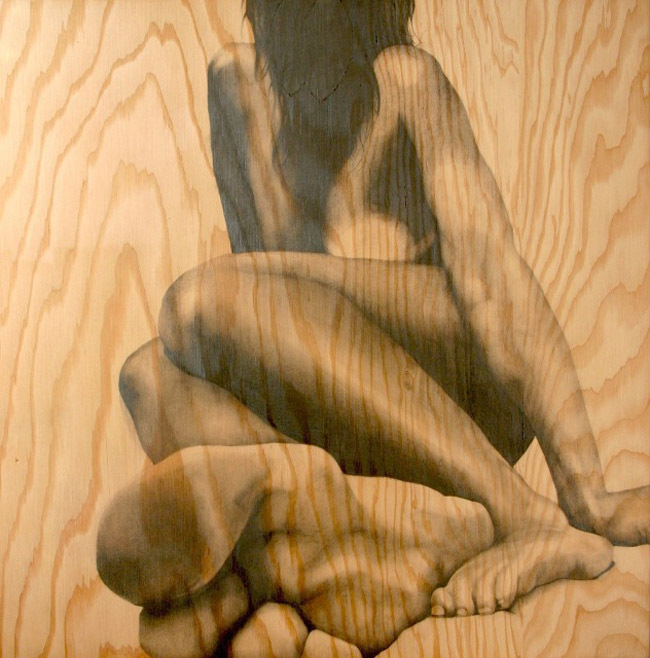 I really like the effect; the rustic quality of the wood grain in contrast with the smoothness of her drawings. And those hands and feet…impressive! Beautiful. Just lovely. I can’t believe that isn’t charcoal. Wowwy! Oh wow. Those are amazing. We would love to have some of your work here at Gallery 1603. Let us know if you are interested! I own several of her pieces and they are truly incredible. Seeing it up close is amazing. 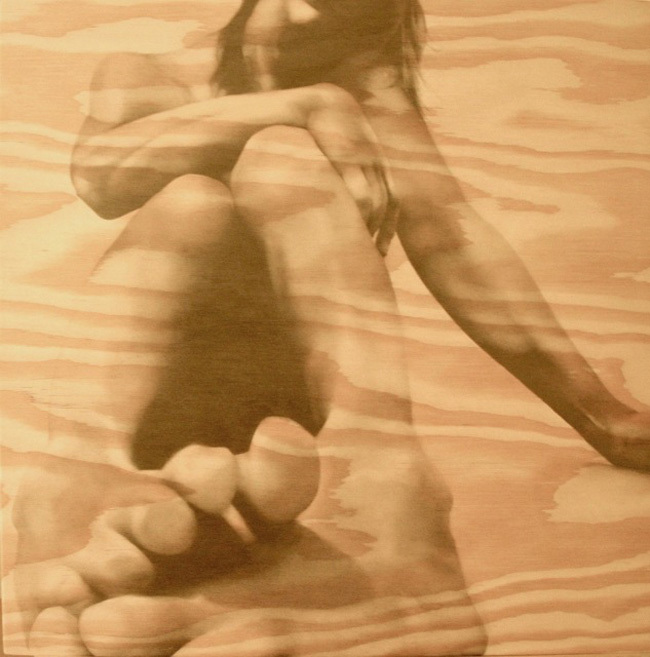 You really can’t believe it’s pencil on wood. Michelle’s work is remarkable and I for one will be a fan forever.